In November 2012, the Governor of the province launched a package of measures known as "Bases for a Democratic Security", which implementation - progressive, orderly and consensual - is a structural shift in the policies of the area at the time that reinforces the transformation of the police institution. This course chosen by the Government is inspired by the Democratic Security Agreement that the province signed in 2009; and which consisted an area of multi-sectoral and multiparty integration establishing basic points for the development of a democratic government of security. Implementing policies of democratic security, requires security institutions committed to democratic values and rejection of demagogic and improvised policies aimed at generating social expectations in the efficacy of abusive measures which only tend to intensify the problems and reproduce the violence. Promoting "Democratic security" means differing from ideas professed by supporters of ideological hegemony, political exclusion, and authoritarian regimes. These issues give appropriate frameworks to different security projects, some of them linked to the Provincial Strategic Plan from 2008 and others are part of the security portfolio. The creation of The Community Police is part of the Democratic Security Plan and it is composed by police that will not perform administrative tasks or depend on a police station, but that it will seek to engage with residents and institutions, marking the presence in the neighborhood. Actions are coordinated with educational and local authorities, banks, clubs, traders and residents from meetings held in time. In this way, the community agent becomes a new public actor who aims the approach with the neighbour to achieve confidence and strengthen social bonds with the community. In a first stage, the police agents will let the neighbors know how they work to strengthen the relationship with them. In terms of equipment, the province has licensed a system of video surveillance that will set 600 cameras in the cities of Rosario (400) and Santa Fe (200). 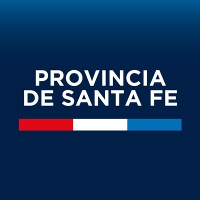 The system, which will require an investment of 60 million pesos, will have 2 Monitoring Centres, one in the city of Rosario and another in Santa Fe, which will interact with the 911 emergency system directly with rooms designed for this purpose. The Government decided that the towns of Rafaela and Venado Tuerto will also join the system with 20 cameras each. At the same time, we are working on the draft of the decree of regulation of the law which regulates the image capture systems, taken at public or of private access places, their installation and use, and which establishes the rules for the subsequent treatment of the collected information (law N ° 13.164). Due to the complexity of the task, which requires special care in view of the interests at stake (public safety and the right to privacy and personal dignity), two participatory workshops have been held this year, in Rosario and Santa Fe, to give support and to contribute in the development of these standards indispensable to the full force of the law that regulates video surveillance. In order to contribute, mainly, in the implementation of public policies for social prevention of violence and crime in an articulated way between the provincial, municipal governments and residents, the Ministry of Public Security has launched the “Vinculos” Programme (“Llinks”). This initiative proposes the involvement of various public and private actors in the discussion of the public security phenomenon, through the direct participation of citizens, providing tools for social prevention of violence and crime in local governments. In the first instance, such tools aim to strengthen capabilities necessary and essential for diagnosis, design, formulation and monitoring of public policies by the public officials of local governments and representatives of social institutions. The consolidation of these spaces of participation allows, at a later stage, the development and implementation of local programmes, through technical assistance and funding from the provincial government. Our government has the conviction that the preventive approach and the search for solutions should be approached regarding those who live every day with the various conflicts in a certain territory, to advance in a comprehensive strategy for reducing violence and crime. The Ministry of Security, through the Secretary of Community Safety, seeks the implementation and the development of comprehensive and programmatic actions which aim to improve the coexistence and in turn are tools for the prevention of crime. According to this principles, territorial and technical teams, along with other State agencies, civil institutions and NGO's, among many others, promote instances of participation, building citizenship and access to basic rights, not only by adolescents and youth in situation of social vulnerability or in conflict with the law, but also with their dear ones. In this way, the provincial State assumes ongoing commitment to strengthen social ties in sensitive sections of the population, promote social inclusion and integration. Programme for Socio-cultural Inclusion of Adolescents and Youth in Situation of Social Vulnerability. In the framework of the multi-agencies activities, which the provincial government promotes from the Social Cabinet, the Secretary of Community Safety has become one of the most important preventive tools for addressing crime and violence: the "Programme for Socio-cultural Inclusion of Adolescents and Youth in Situation of Social Vulnerability". Since 2009, and after identifying those neighbourhoods in Santa Fe and Rosario which have historical delays in terms of schooling, precarious housing, access to basic services and presenting, at the same time, highest rates of violent episodes and conflicts; teams from the area have concentrated on the task of establishing contact with groups of adolescents and young people generally associated with criminal activities. In the process of recognition and territorial bonding with young people, the government is aimed at the strengthening of their trust through involvement in cultural and recreational activities, to offer them the possibility of participating in spaces for training in various trades, from a labour productive logic. In this way, along with the young, the Secretary intends to generate productive enterprises or cooperatives that allow participants to constitute a real alternative, able to replace the criminal economy. This programme, known as 'Included Youth', is developed in 5 districts in the city of Santa Fe and 6 in Rosario.